We came upon this enormous Black Walnut slab from Steiner Hardwoods in Wooster, Ohio. This 18ft long, 40-56" wide black walnut is the largest slab that has come into the Urbn Timber shop. Its forever home will be as a double waterfall dining table and kitchen island top in Texas. Treg Sherman, Tyler Sirak and Tyler Hillyard. 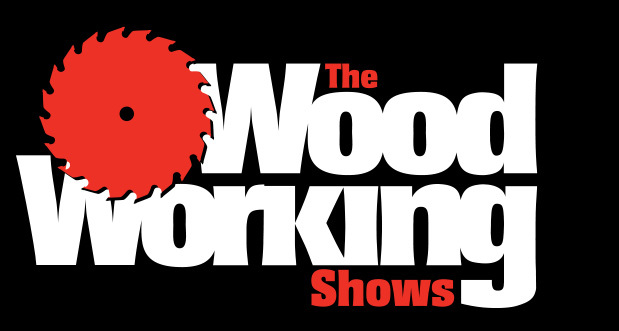 Join us at the Columbus, Ohio Woodworking Show next weekend! Buy your ticket here! $12 in advance. $14 at the door. Our winter edition of Slaburday is just over 2 weeks away. Hang out, chat with us and other local makers during our open house. Our walls are lined with new inventory of Ash, Cherry, Maple, Sycamore and Walnut slabs. Come browse our collections to find that unique piece you've been looking for. Feel free to ask us questions about the Urbn Timber process and how exactly we get your future piece from tree to table. We will also have other Urbn-Timber merchandise available including t-shirts, coasters, turning blanks and candles. We can't wait to have you out to our shop! This story roots back to 1829 when Andrew Jackson left Tennessee to come to the White House for his inauguration for President of the United States. To symbolize his late wife Rachel, Andrew brought a Magnolia sprout from Rachel's favorite tree on their home property 'The Hermitage' that was later planted on the South Lawn of the White House. Over 159 years later, in 1988, President Reagan gifted a cutting of the historical old Magnolia to his retiring Chief of Staff, Howard Baker Jr. who then planted the tree in his Huntsville, Tennessee home. In 1993, John Rice Irwin, Founder of the Museum of Appalachia was at Howard Baker Jr.'s Huntsville home when he inquired about the origins of the tree. After the story of the Jackson's and receiving the gift from President Reagan 5 years earlier, Baker gifted a cutting of the Jackson Magnolia to Irwin at the Museum of Appalachia. Two descendants of Jackson Magnolia tree stand at the Museum, one named Andrew Jackson and the other Howard Baker Jr. In 1998, the original Jackson Magnolia rooted at The Hermitage was destroyed by a tornado. In 2009, John Rice Irwin gifted cuttings from the his Jackson Magnolia descendants to be returned home at The Hermitage. The Jackson Magnolia Tree still stands today on the left side of the White House facing from the South Lawn. White House officials say it is the oldest known presidential tree on the grounds of the White House. This tree has influenced our former Presidents and First Families, White House chinaware, currency and leaders around the world. "The proud old Jackson Magnolia continues to bloom and remind us of its roots in the history of our nation. These beautiful trees serve as constant reminder of our nation's past and the individuals who helped make our country great."